During the 1985-86 season of PBS' Mystery anthology, American audiences were treated to the British-produced adventures of Agatha Christie's society sleuths Tuppence and Tommy. Originally shown under the blanket title Partners in Crime, these sprightly 60-minute puzzlers starred Francesca Annis as Tuppence and James Warwick as Tommy. The Sunningdale Mystery is set at an exclusive golf course. T&T tackle the case of a golfer who's been murdered by a "hatpin killer" while on the links. 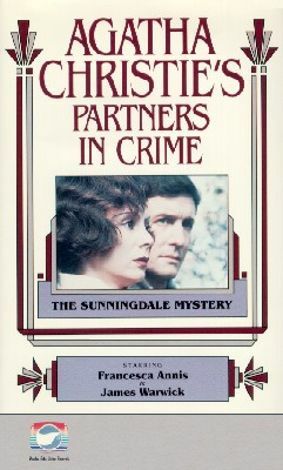 Sunningdale Mystery premiered over most PBS stations on July 3, 1986.